Your child could skate away with an incredible hockey experience. A roaring crowd, dazzling lights, and a string of hockey heroes behind you. 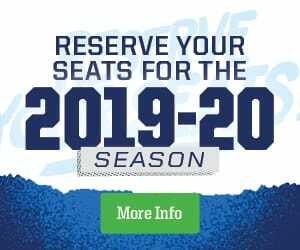 That’s the thrill of leading the Manitoba Moose onto the ice, and this is how your little hockey fan can win the chance to live it. Winners will lead the Moose onto the ice by carrying the Moose flag before the start of the game and stand alongside the players on the blue line for the national anthems. Simply enter them into the Scotiabank Skater Contest today and your child could be selected to receive a sensational Manitoba Moose game experience. The opportunity to skate out with the Moose and line up with them on the blue line for the national anthems.